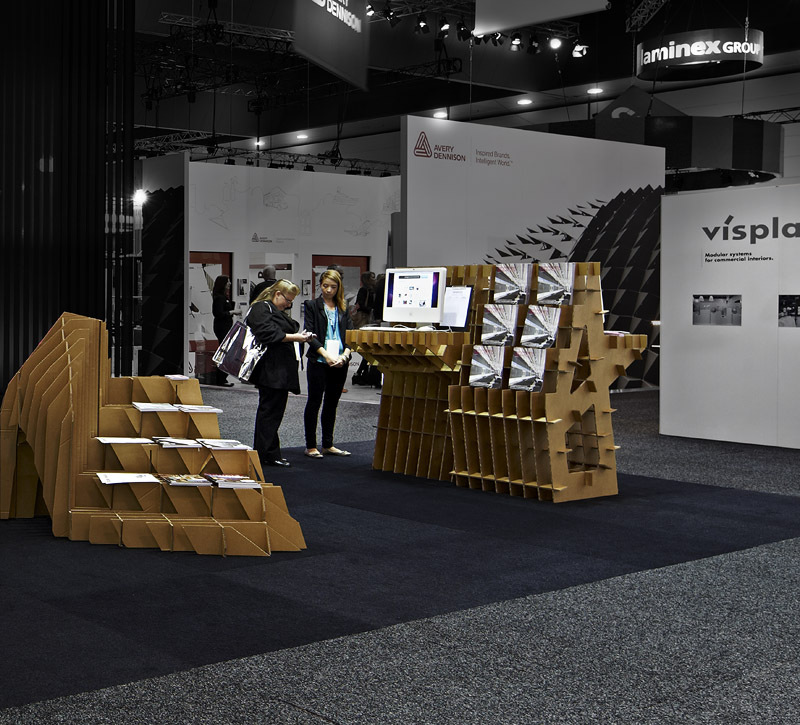 Fold Theory designed a flat-packed, modular trade show stand that could be reconfigured for different sized footprints for publishing company Architecture Media. 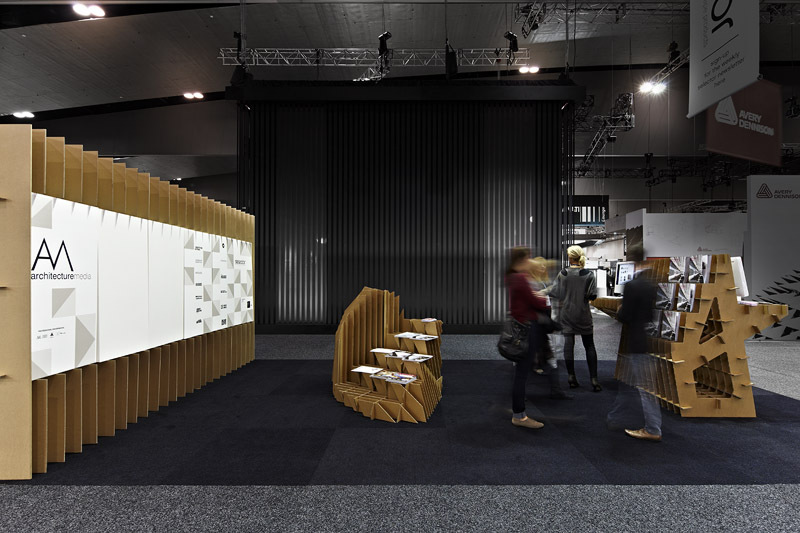 Initially shown at Designex in Melbourne, it was subsequently shown in two different configurations in Sydney. A storage room formed a double-sided signage/display wall, that could be built to varying lengths. A magazine rack/computer stand, assembled from a single profile and a single joining piece, was also variable in width. 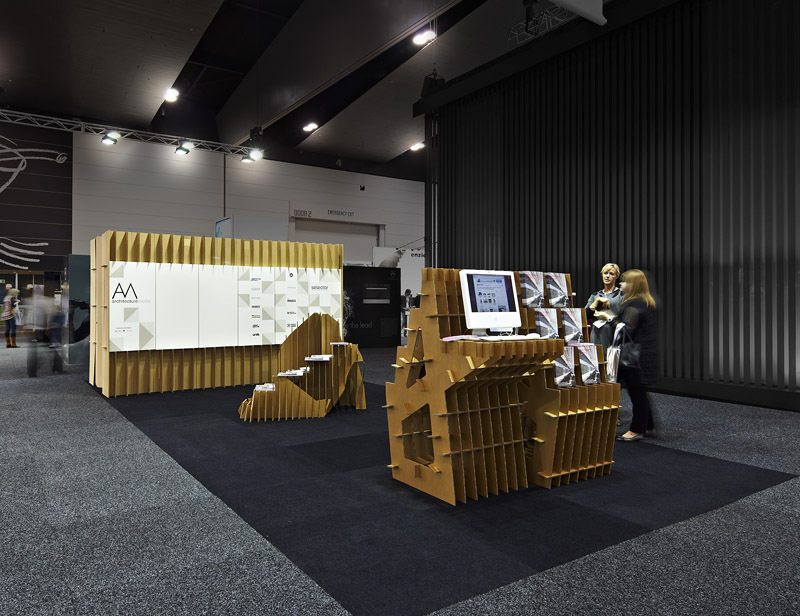 The magazine rack is a prototype furniture product available to purchase.